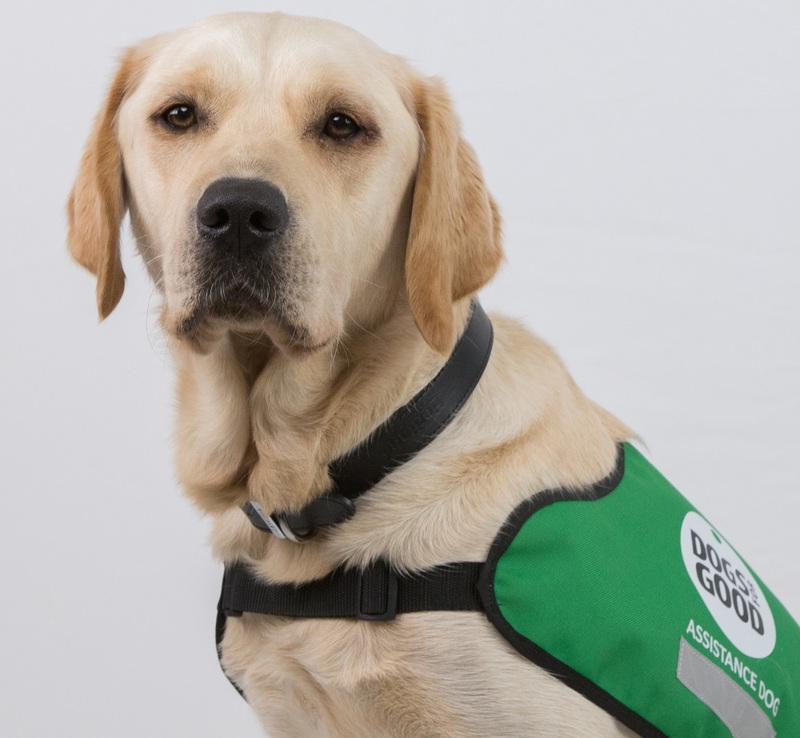 Twickers is a Labrador/golden retriever cross and is Ann’s second assistance dog. Ann is a wheelchair user with needs arising from the brain haemorrhage she had in 2001. Then Ann met a lady who had an assistance dog and encouraged her to investigate having a dog herself. Not long afterwards, Ann found herself attending an open morning at Dogs for Good. “It was a total game-changer,” she recalls. Interestingly, Ann says that she came away from the event feeling that she didn’t ‘deserve’ to have an assistance dog as there were people attending the event who were, in her own eyes, ‘far more deserving’ than herself. Nevertheless, she went ahead with her application and was astounded to receive a letter saying that her application had been successful. “I felt special again – rather than just lady in a wheelchair with special needs,” she explains. Independence, fresh air, broader horizons, safety, meeting new people, confidence, elevated self-esteem. 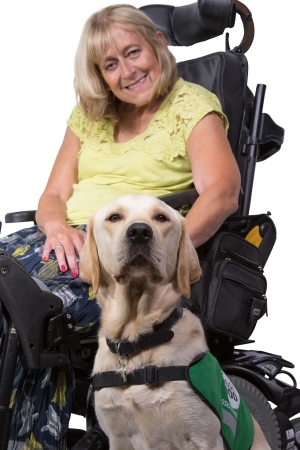 All words and phrases that Ann uses when asked what benefits her assistance dog brings. “Aside from helping me pick things up, opening and shutting gates and doors, bringing me the post, pulling off socks and gloves etc. it’s the stuff you don’t expect that brings you the most joy. “I’d loved my pet dogs in the past but the bond you get with these dogs is something else. Your self-worth is elevated because you have to care for another life; grooming, walking, feeding, rather than being the one that receives care. Having the dog doesn’t just give me confidence, it gives my husband and daughters confidence, too, because they know I’m not ever on my own. Find out more about successor dogs.